Looking for a playful companion and enthusiastic jogging buddy? Charlie Boy’s your man! Er… dog! 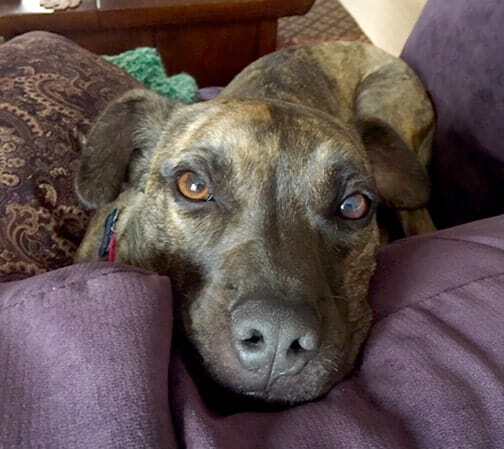 Charlie is a gorgeous, petite brindle mastiff type dog with floppy ears, soulful eyes, young-dog energy (~3 yrs old) with the maturity not to use it all the time. He’s the perfect size pal at an even 50 pounds. CB is such a great guy! Extremely dog social, Charlie Boy has the best time with his doggie friends – any age, any size. He’ll moderate play as needed. He’s also met a cat with no reaction so we have high hopes for his feline friendliness. Charlie’s as sweet as pie, takes treats gently, has excellent leash manners, is quiet around the house, and knows “sit” and “crate”. With people he trusts, he’s a cuddlebug and will flop on his back for belly rubs at the slightest provocation! CB was born into a backyard hoarding situation where he was tied out with almost 70 other similar dogs and neglected. 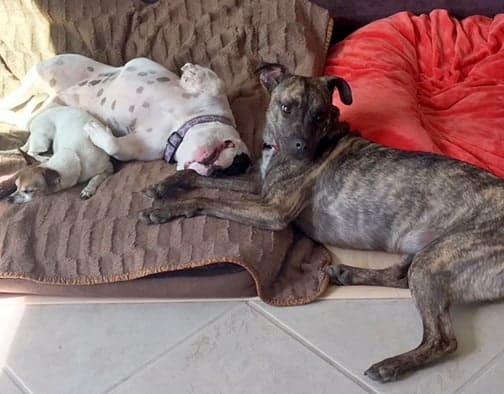 He takes a little time to trust new people and bond with his family but he’s really impressed us with how much progress he’s made in his foster home. 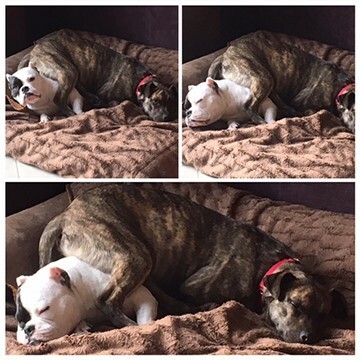 He’s even brave enough to check out someone new with a quick sniff and retreat. Patience with Charlie is richly rewarded; he absolutely adores his people. We’re looking for a quiet home with adults who will let Charlie Boy grow at his own pace. While you don’t need extremely strong leadership skills with this sweet boy, he does ask for pet parents who understand how to give him space while helping him to blossom and gain confidence. Charlie Boy would especially love a playful dog-sibling (or several) since he has lots of energy. He’s a big fan of toys, balls, chew toys, treats and zoomies around the yard, and is very willing to share all of the above – what’s his is everyone else’s too! He also appreciates long walks and runs and is an ideal hiking buddy, but if he can’t get his exercise needs met on occasion, he’s still always well-behaved. Does that sound like you? 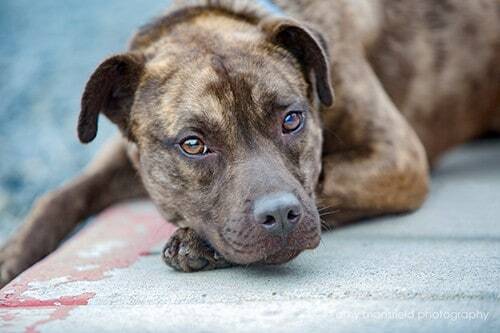 If you’d like to meet this beautiful brindle boy, let us know! 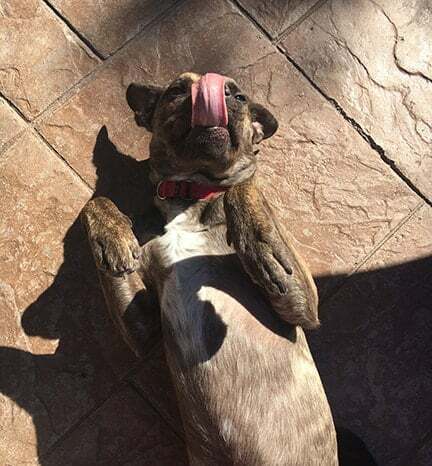 Click on the photo to the right to expand and view additional images of our sweet pup! Take the next step and fill out an application.